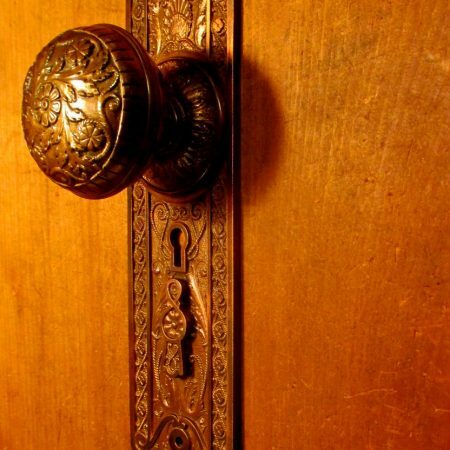 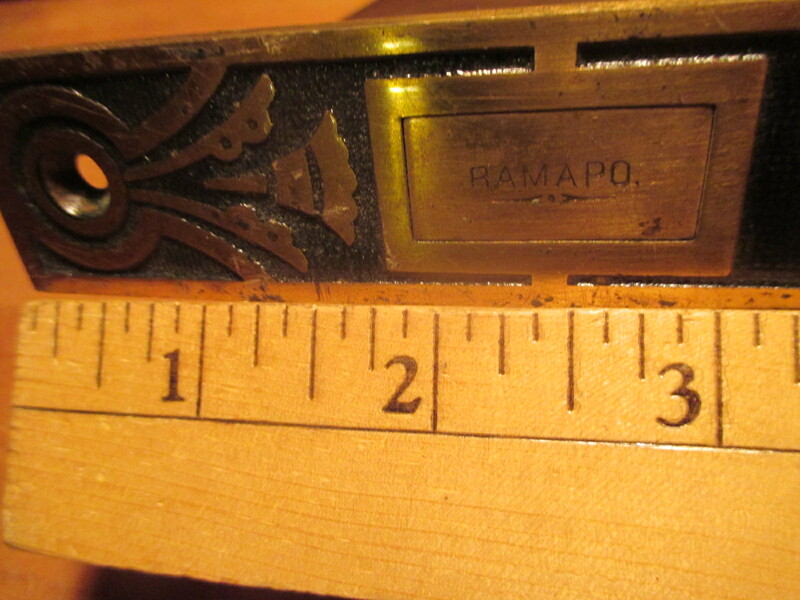 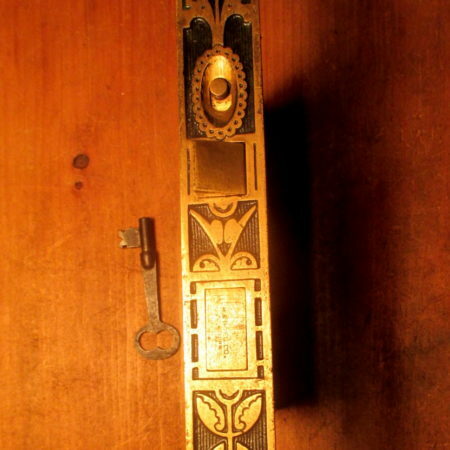 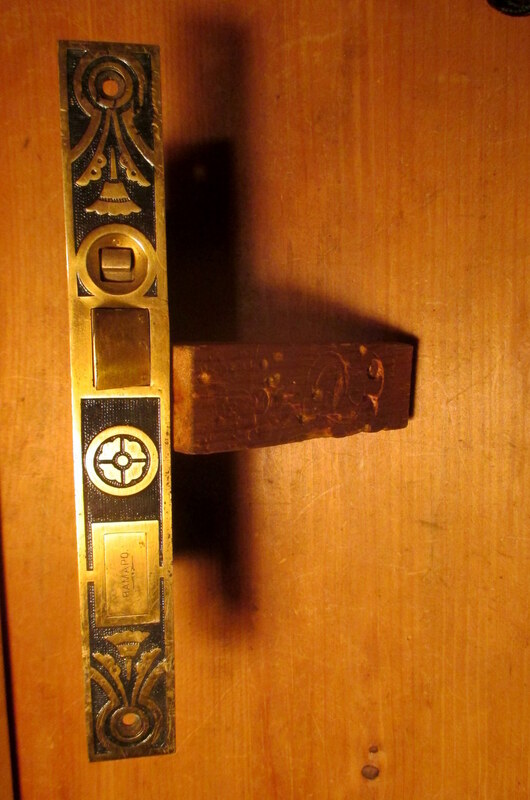 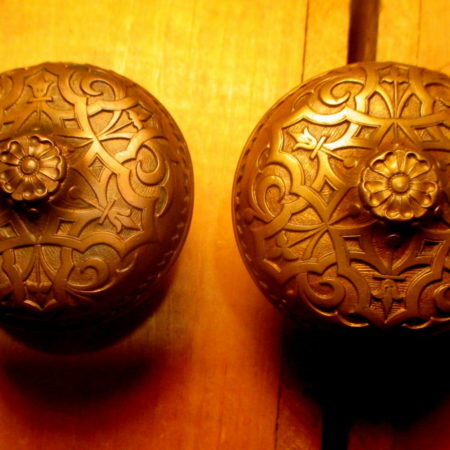 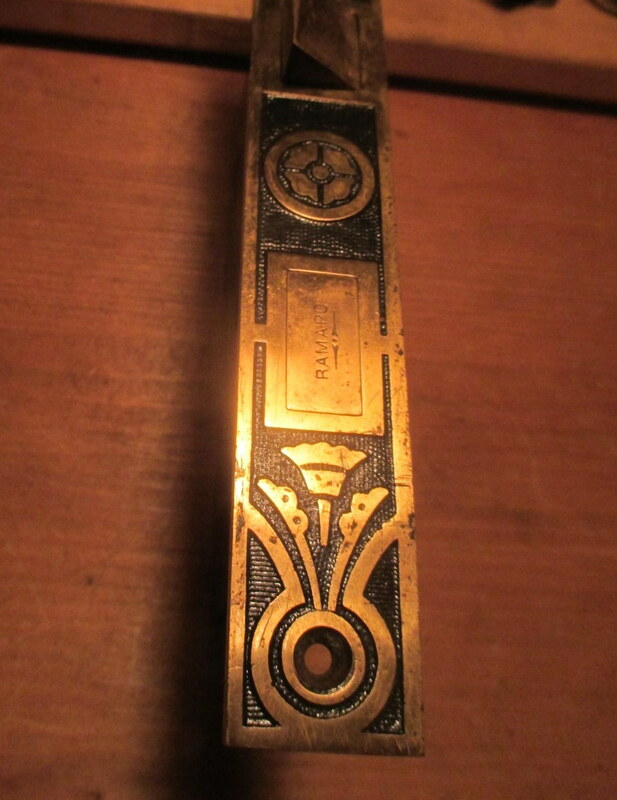 This large bronze faced entry mortise by Ramapo owned by Hopkins & Dickinson and one of their patterns found unused and in excellent original condition. 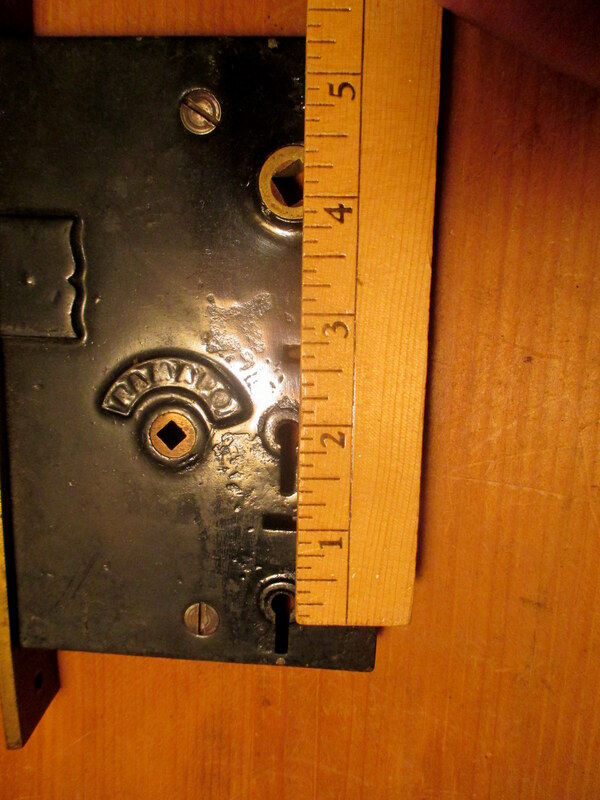 Face measures 1-1/8″ x 8-3/8″. 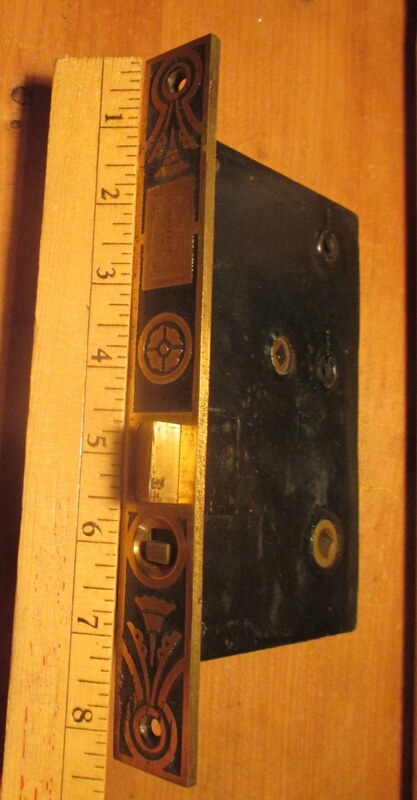 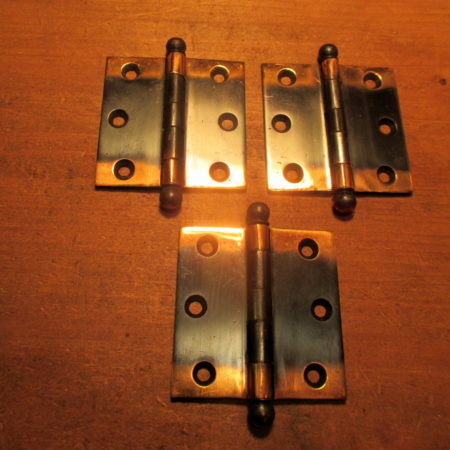 back set 3″ case measures 3-3/4″ x 6-1/16″, takes a 1/4″ spindle , no keys with this lock.